This peachy clean body and hair wash was specially developed by pediatric dermatologists. 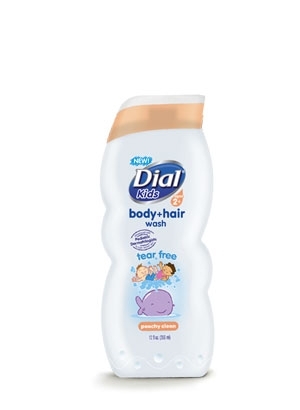 Dial for Kids is ultra-gentle, tear-free and hypo-allergenic. It is just what the tender sensitive skin of young kids needs. An added bonus is that it smells great! My son was very excited to try his "soap" and liked the way he smelled afterwards (he's 4) and his skin felt great afterwards. 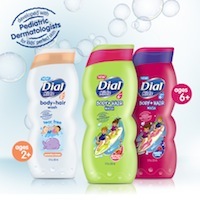 2 Lucky Tips 4 Saving Readers have the chance to win their own bottle of Dial Kids Body and Hair Wash... just enter below! I've looked far and wide for my kid`s body wash that wont' dry his skin and this is it.